Bees are at risk. That’s nothing most nature lovers haven’t heard before. However, it is a misconception to believe pest control requires damaging the fragile ecosystem of the bee. Nevertheless, it is also important to recognize just how damaging pesticides are to bees themselves. Finding a balance in managing pests and protecting (as well as encouraging) bees to flourish can be complex. Pollinators of all types help to ensure food is readily available to humans. 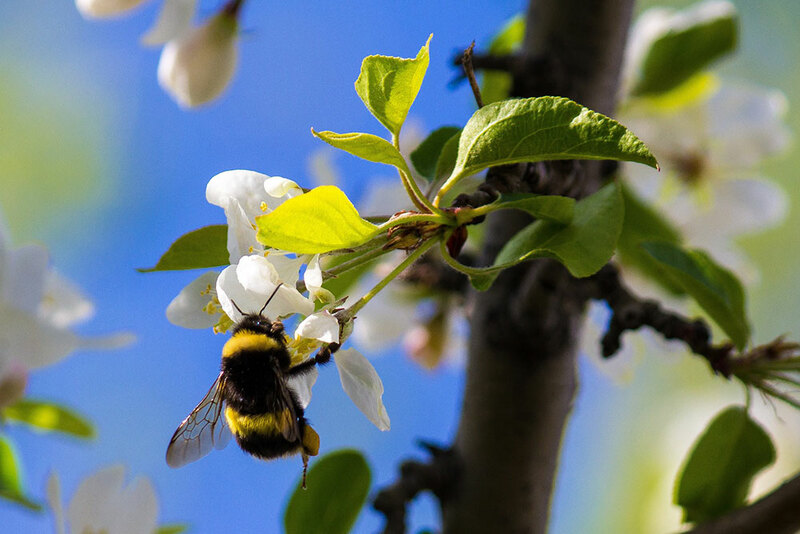 Bees and other pollinators work to provide the pollination that crops, fruit trees, and other plants require. Without this, there simply is no way for food to grow. We need a strong, healthy population of bees and other pollinators to help plants grow food. These pollinators are currently at risk and populations of them are declining. What Factors Impact Bee Health? Viruses, pests such as mites, and pathogens including bacterial diseases, were a key culprit to the decline. A lack of foraging habitat and a higher need to rely on supplemental diets, such as disposed of human food, also contribute. Genetic diversity is limited – ensuring it is quite difficult for bees to overcome these challenges. Pesticide exposure is creating a harmful world surrounding those delicate bees. In 2006, many beekeepers began reporting an unexpected and worrisome trend. Their bee colonies were failing. Many reported high losses of bees, with as much as 30 to 90 percent of beekeeper hives failing. And, of those that failed, about half showed symptoms of a condition called colony collapse disorder. When this occurs, the worker bees – which do most of the work to keep the hive operational – died. And what was even more puzzling is that the remaining queen and young brood had ample access to honey and to pollen reserves. But, without worker bees, the hive cannot maintain itself, and they fail. Researchers found a key reason for this was pesticides. 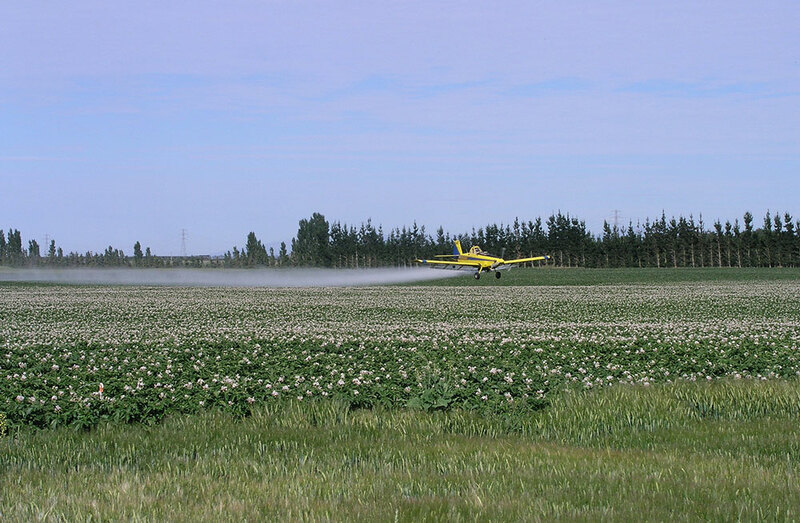 Farmers and others were using pesticides to protect their crops, often spraying with huge amounts of pesticides to keep them protected from damaging pests. This, along with other concerns, created a high risk to the bees, leading to their death. Knowing the problem is, in part, pesticides, a significant amount of action has been taken to help protect pollinators from risks. Leading the way is the U.S. Department of Agriculture, which published the Colony Collapse Disorder Action Plan for farmers to use to improve bee populations – and minimize their death from the known causes. What Can Be Done to Protect Bees? 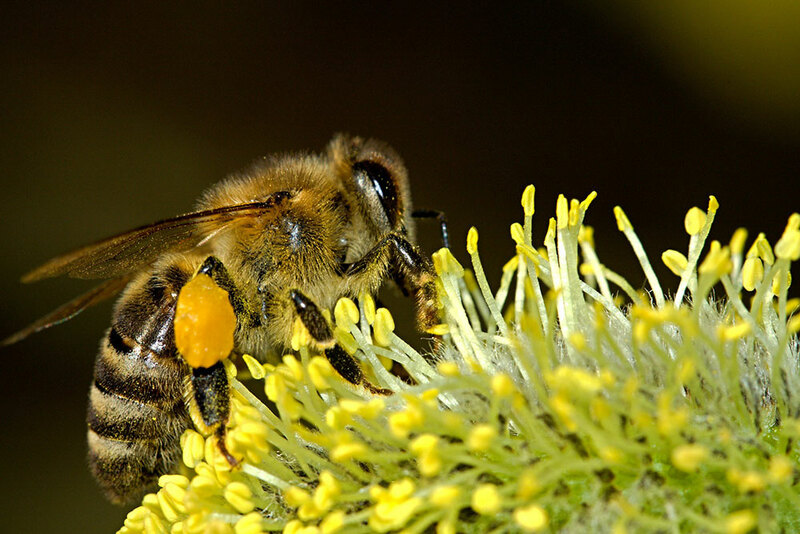 What steps can be taken to protect pollinators? There’s much that must be done to protect bee colonies, and the good news is that, with a combined and consistent effort, it is possible. Some key steps to take to protect bees include the following, according to Richland Pest & Bee Control. The pesticide must have a low toxicity rating. It has to have a little-to-no residual toxicity level. The OECD provides recommendations for using pesticides as well. Specifically, this website works to centralize all information about pesticide risks. A key part of it is labeling. 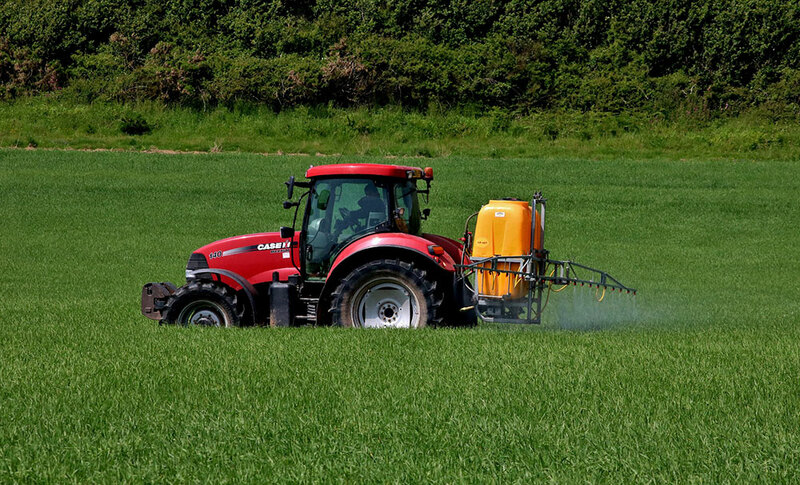 Proper labeling of pesticides to ensure the user knows exactly what the immediate and long term risks are is critical. The EPA has new labeling guidelines for specifically harmful pesticides, such as neonicotinoids, which should not be used where bees are present. Another tool for prevention is application timing. Research from Oregon State shows that applying pesticides can be safer when bees are not as active. This can be one way to protect pollinators because it allows for the use of pesticides safely. Ideally, the pesticides should be used one hour before the sun rises and at least one hour after it sets. 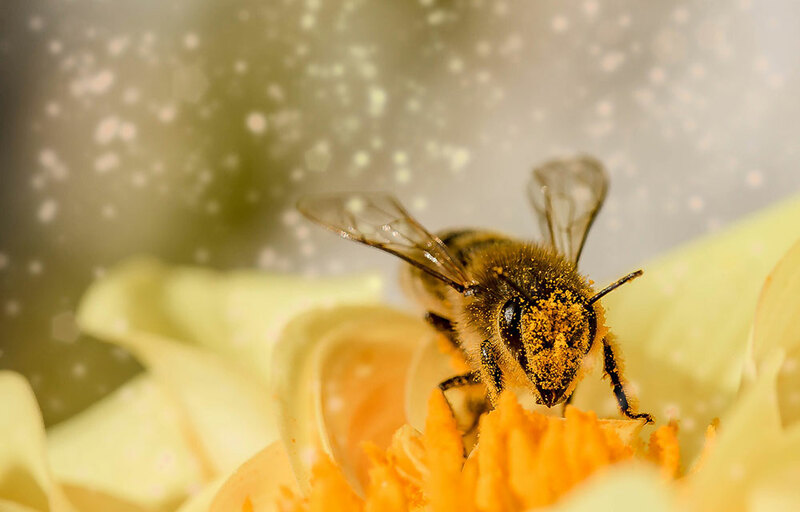 Perhaps most importantly, consumers should select a pest control company – when using one – capable of recognizing the importance of bees and pollinators and who will take dedicated steps to protect them. When choosing a provider, look for those who use safe but effective methods and who are both licensed and certified. It is also essential to choose a provider who is environmentally conscious, suggests the extermination experts at Richland. Not all pesticide companies view bees as a threat and many have the tools and resources to protect all pollinators while also ensuring safe communities for families. Individuals must be focused on using safe pesticides and, when possible, avoiding disturbing colonies to ensure they continue to flourish. This will, by far, providing the highest level of protection for bees going forward. For those who would like to learn more about safe pest control in Connecticut, turn to the experts at Richland Pest & Bee Control. 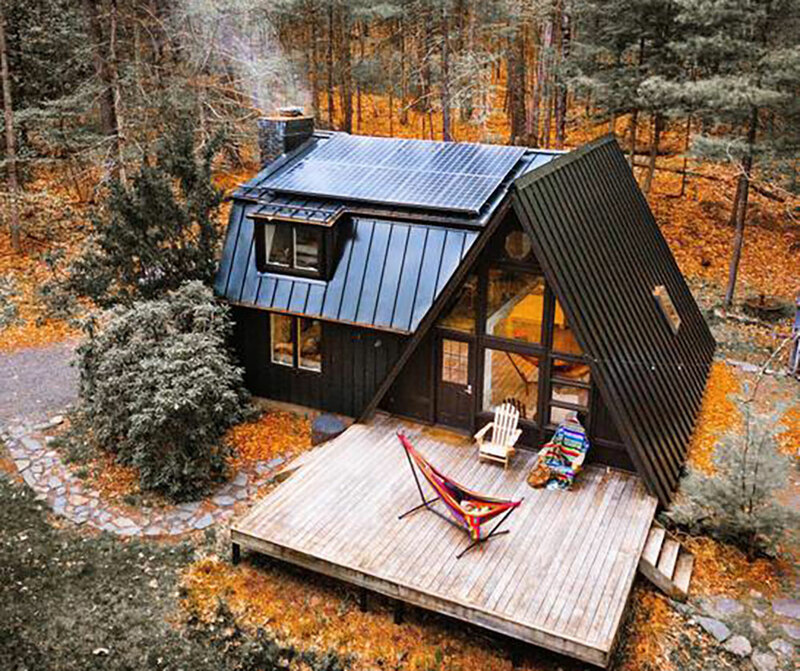 Deep in the heart of the Catskill mountains, this beautiful off grid cabin sits on a two acre property with private access, surrounded by woods. It is solar powered, draws water from a well on the property, has a spring fed pond nearby. 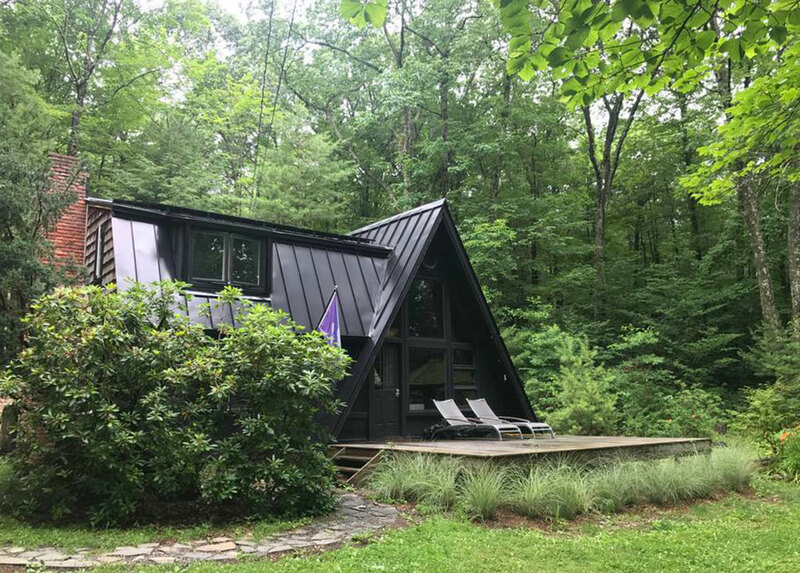 Like many of the gorgeous tiny houses and cabins we find, this one is listed as a rental on Airbnb. These rentals are wonderfully inspiring to anyone considering building their own off grid cabin or sustainable home. 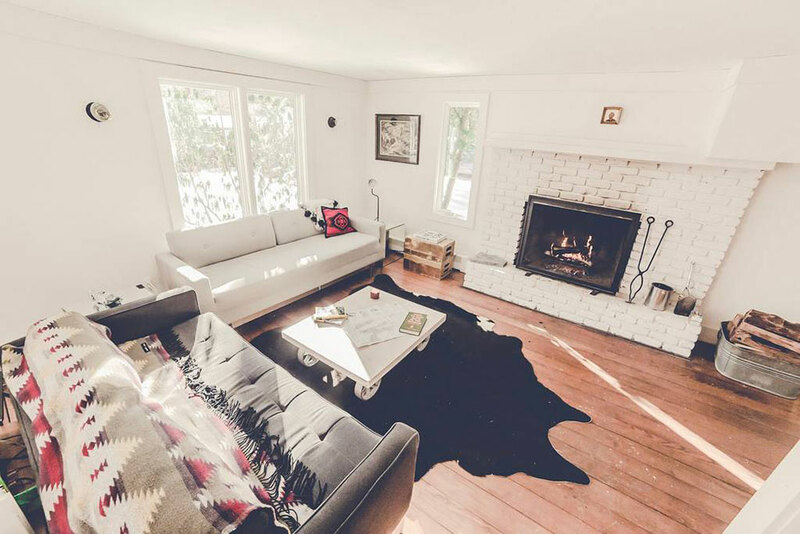 The recently renovated cabin’s gorgeous open floor plan lends enough space for the comforts of a large kitchen and a living room area with a fireplace. Features and furnishings within the cabin are an alluring blend of rustic and modern. Like many A-frames, the front face of this cabin is a wall of windows letting ample light into the cozy, open space. Two spacious bedrooms and two private bathrooms provide comfortable accommodations for visitors. Those who have stayed here praise the peace and quiet the cabin affords. 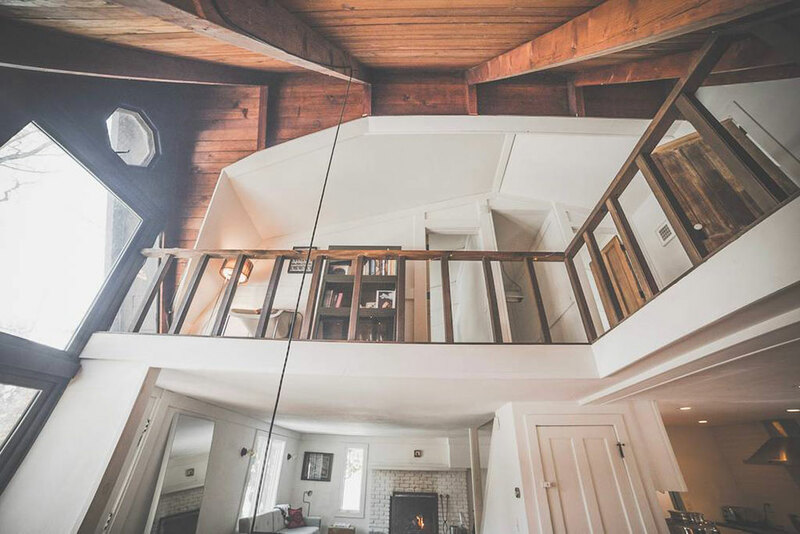 While many A-frame cabins have loft bedrooms to utilize the vertical space, this home’s unique layout includes a balcony at the top of the stairs. A bookcase and seating area create a comfortable nook looking down on the room below. 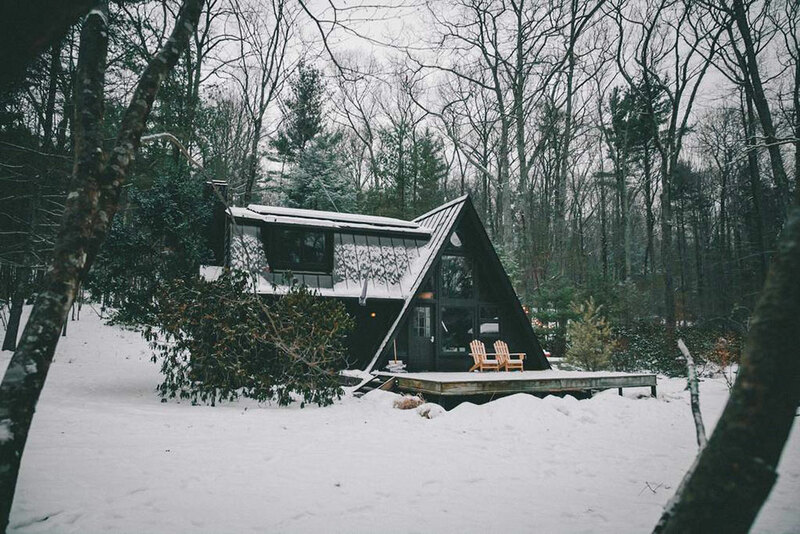 The cabin is just as beautiful in winter as it is the rest of the year. Can you imagine enjoying a snowy evening here, beside the fireplace? Surrounded by nothing but woods, the home offers amazing 360 degree views. A large deck, picnic table, and nearby screened in gazebo provide space for enjoying the outdoors. 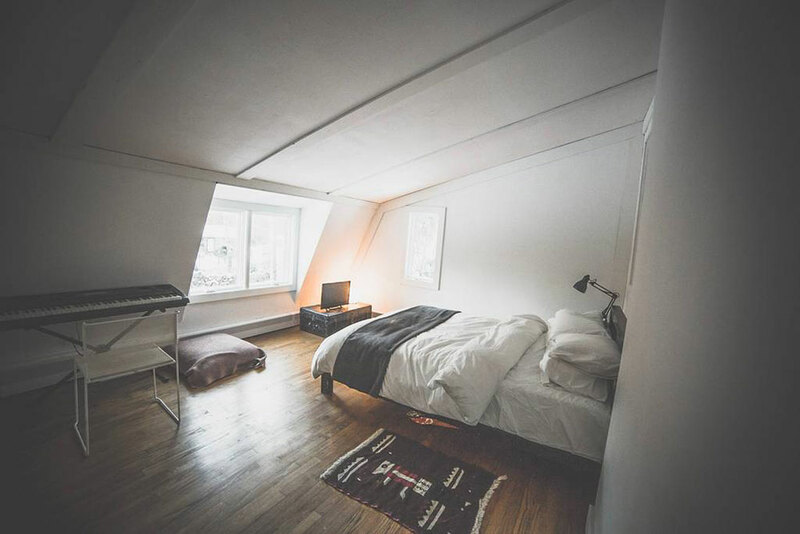 Read more about his cabin at Airbnb. And, if you’re looking for a taste of off grid living, take a little road trip and spend a weekend there! What better way to inspire your imagination for planning your own off grid retreat? The post 2 Homemade Ketchup Recipes – One for Canning, One Probiotic appeared first on Common Sense Home. Water is essential for life, yet is something often taken for granted by those of us with easy access to city water, a reliable well, or bottled water. For those who choose to live off the grid, obtaining clean water can be a challenge and is usually the first priority when planning a homestead. 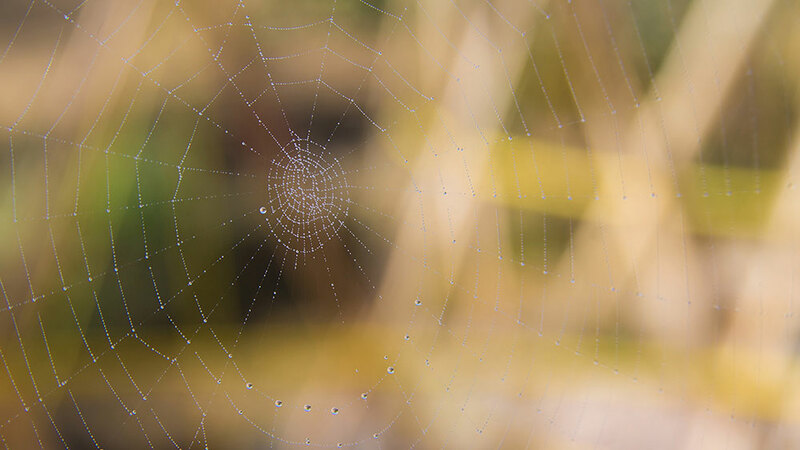 The solution most often comes in the form of a good well or rain water catchment system. In some areas of the world, where living off the grid is the involuntary norm, finding potable water is a much bigger problem. Many areas are plagued with contaminated water sources and wells that do not provide sufficient supply. 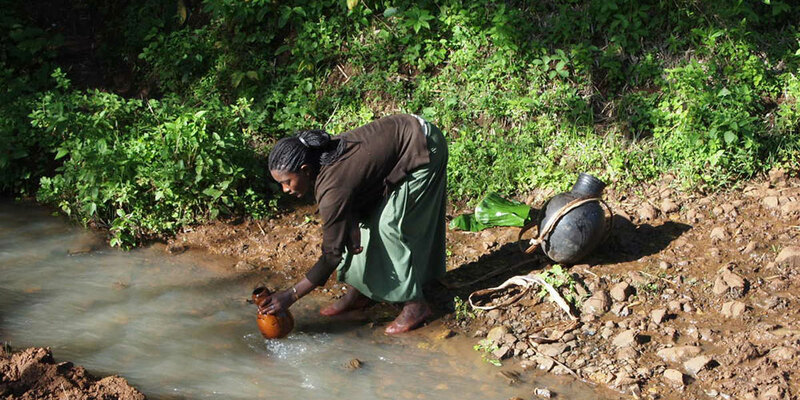 For the people in these isolated communities, gathering water is a tedious daily chore mostly undertaken by women and children. They often trek great distances to water sources that are questionable at best. 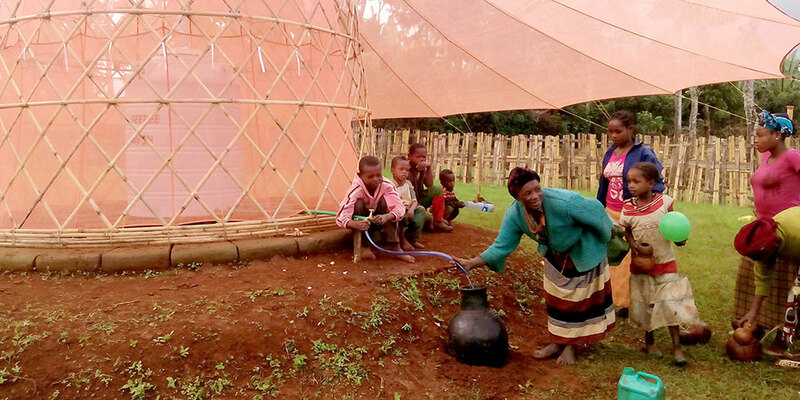 In 2014 we wrote about Warka Water, an innovative atmospheric water collector named after a tree native to Ethiopia. The tower was designed by Italian architect Arturo Vittori and his team as a potential solution to the water problems that plague so may communities around the world. 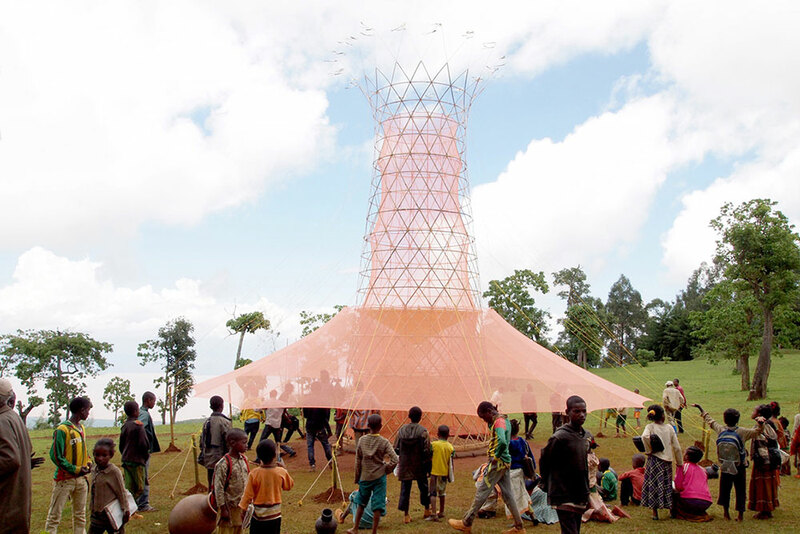 Warka Water has made big strides since then, implementing several prototype towers throughout Italy and in Ethiopia. When designing the tower, Vittori and his team sought cues from nature. The fascinating capability of certain plants and insects to collect and store water from the air, enabling them to survive in some of the harshest environments in the world, inspired the Warka Tower. 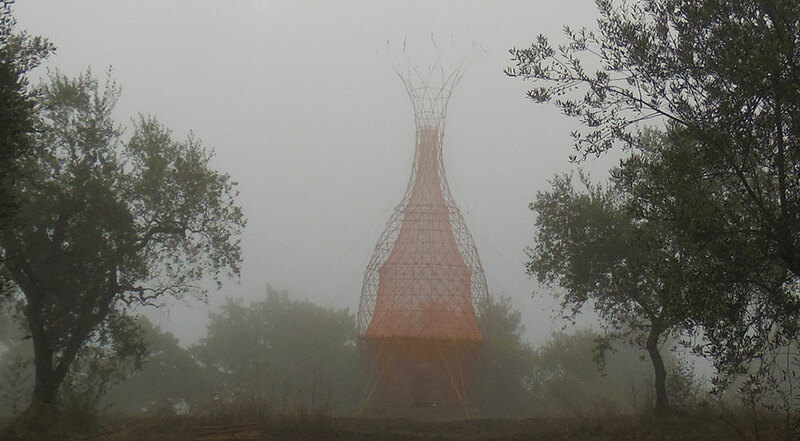 Warka Towers are built with local, 100% recyclable materials. They are designed to be erected quickly and easily with simple tools, and as such, can be maintained by local villagers. In areas like this where clean water is scarce, these towers provide a practical alternative to wells, which – if potable water can even be found at a reasonable depth – are expensive to construct and maintain. In 2015, Vittori’s team used the funds from a Kickstarter campaign to install a Warka Tower in Dorze, located in southern Ethiopia. The project has been a success and has given the team valuable insight into how to improve future prototypes. 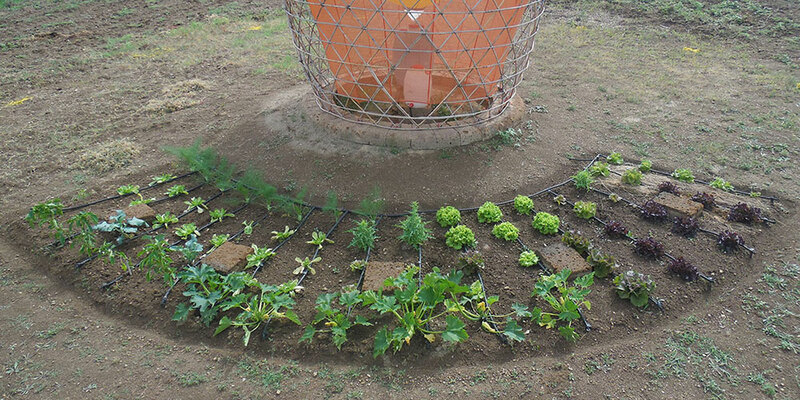 A garden planted at the base of the Ethiopian tower uses a small portion of the collected water through a gravitational irrigation system while providing food for locals. The tower and garden, on a larger scale, could provide food and water to entire communities. 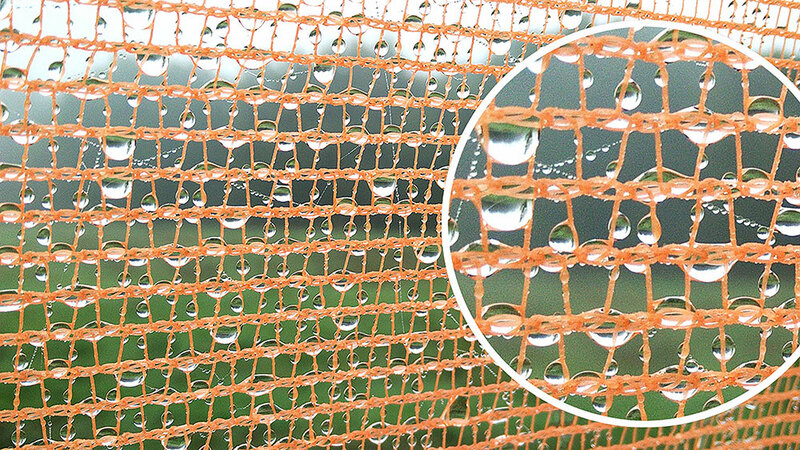 Warka Water does more than provide isolated communities with life-sustaining clean water. They have collaborated with Culture a Porter to empower the inhabitants of these communities by promoting their handicrafts to an international market. Many of these beautifully unique products were made under the canopy of the Warka. At this time, a second tower is in the planning phase for Haiti and for other areas in desperate need of such technology. If you’re interested in learning more about this idea or helping Warka Water creators bring more towers to communities in need, visit the Warka Water website. The post Harvest Right Freeze Dryer – Cost Analysis and Optimizing Load Size appeared first on Common Sense Home. 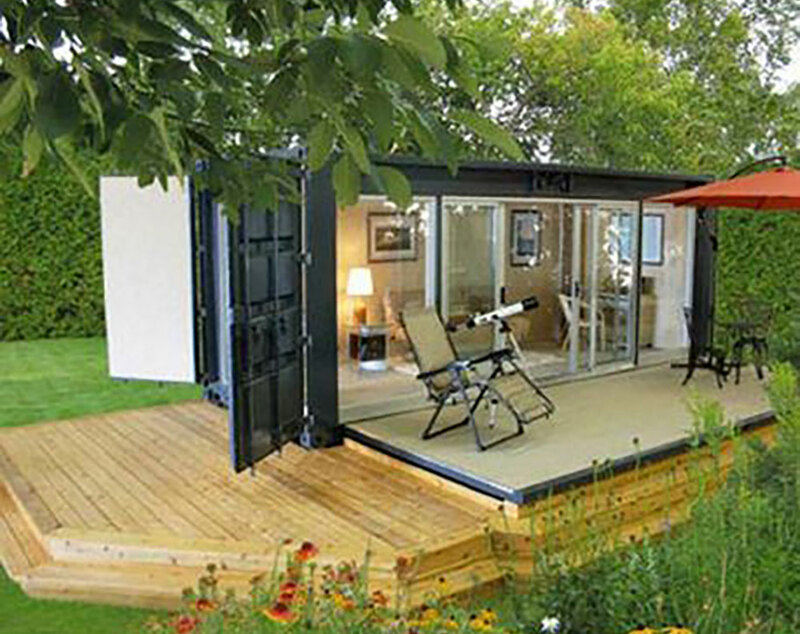 If you are at all interested in alternative dwellings, you know how popular shipping container homes are now. 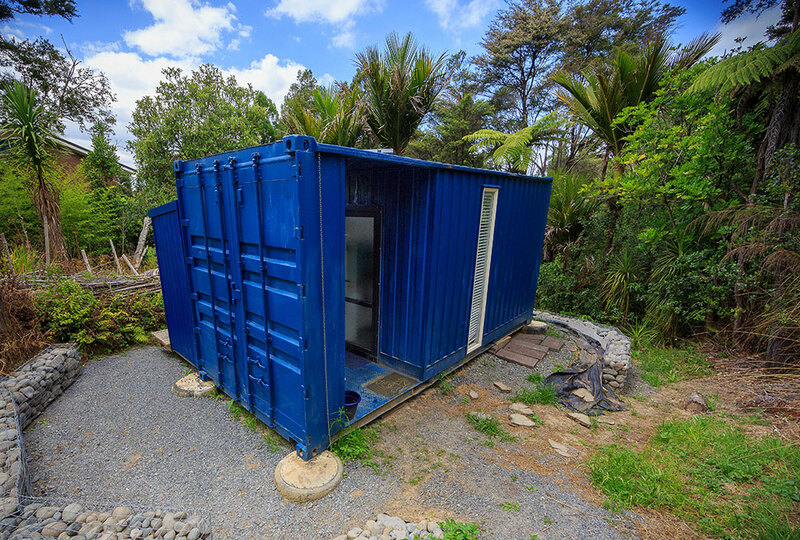 Shipping containers make great building blocks for homes, for sure, and they have become an unlikely go-to for a huge variety of applications in recent years. From off grid cabins to swimming pools, underground shelters to portable cafes, and luxury designer homes to vertical urban gardens, their time in the spotlight has resulted in endless unique container creations. 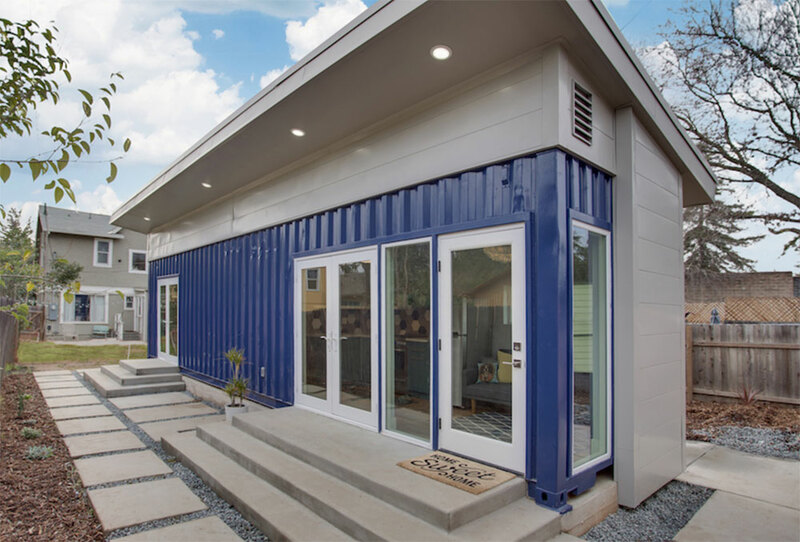 When it comes to homes, it’s understandable why shipping containers are coveted; their affordability, durability, and portability are attractive to those seeking a living space that is quick to build and won’t keep them in debt for decades. Anyone with building skills can turn one of these stuffy steel boxes into a surprisingly attractive, inhabitable work of art. A few years ago, we published an article showcasing 10 popular prefab shipping container homes available at the time. Since then, many container home builders have appeared on the market with purchase options from simply affordable to gorgeously extravagant. 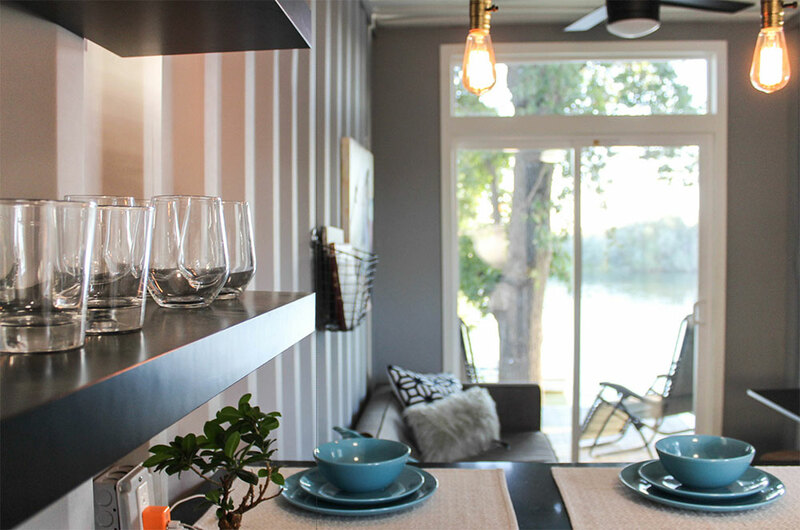 Given the variety of container homes available now, we decided it’s time for an updated list. These are not affiliate links and we have no relationship with these manufacturers; we’re simply showcasing an unbiased compilation of our research. By the same token, we can’t speak to the integrity of any of these companies as we’ve had no personal dealings with them. You can contact any of them with questions and you will find testimonials and reviews on many of their websites if you are interested in their homes. 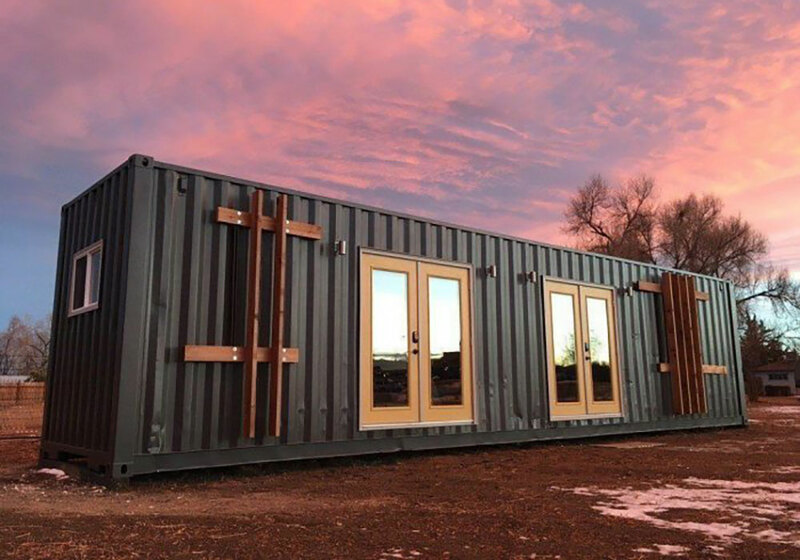 Backcountry Containers, based in Texas, custom builds their homes with prices dependent on the size and number of the containers in the build. 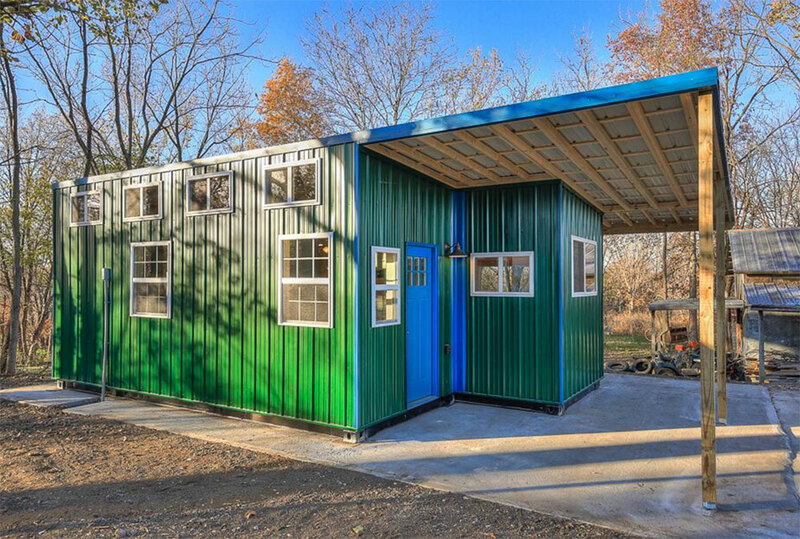 Homes can consist of single, adjoined, or stacked 20 foot or 40 foot containers. Additional features can be included, such as screened in porches, rooftop decks, and storage areas. All their homes are insulated and include AC and heating units, plumbing, and wiring. Also, each home is equipped for hookup up to city drainage or to greywater and blackwater tanks for off grid living. 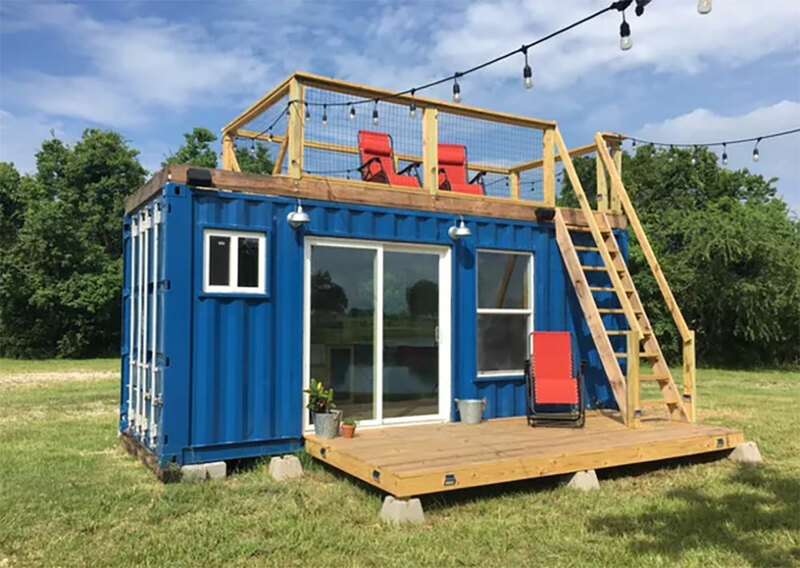 20 foot single container homes start at $40,000, 40 foot single container homes start at $60,000, and homes with multiple containers start at $100,000. 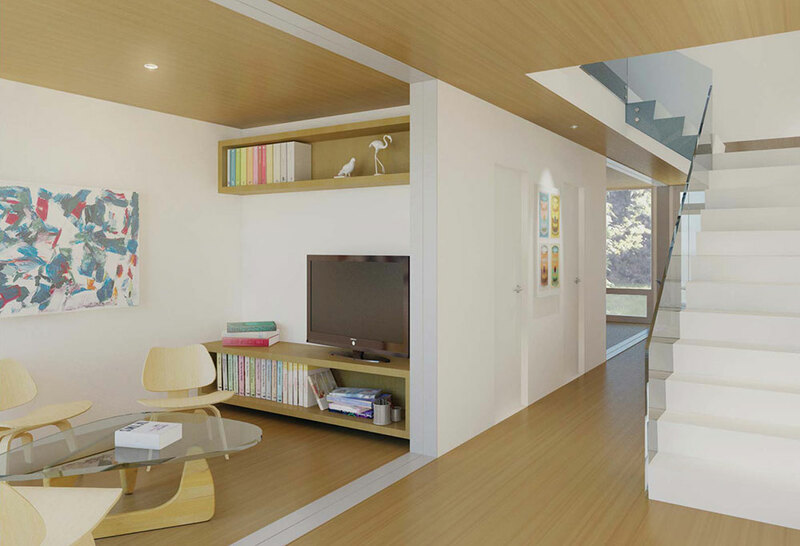 If luxury living in a container is what you’re after, Alternative Living Spaces is a great place to start. We recently wrote about one of their homes for sale – a beautifully bright 20 foot model packed with gorgeous features. With large windows on all sides, this home offers 360 degree views of the outdoors. While this model is nearly perfect, in my opinion, ALS offers many custom options for their homes to suit any preference. 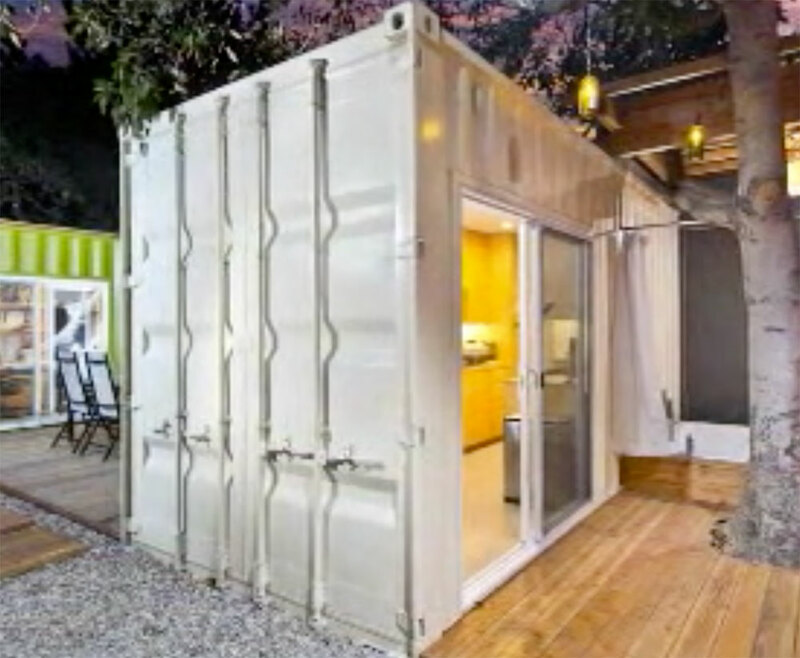 Alternative Living Spaces offers their Raw Containers starting at $29,900. 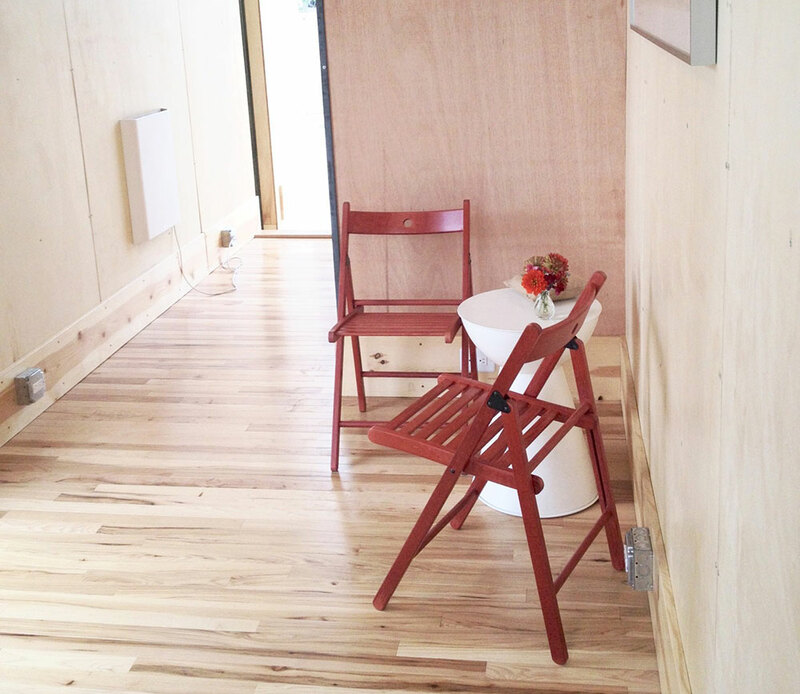 These “blank slate” containers have all the basics – insulation, framing, light fixtures, windows, flooring, and paint – and are ready to be converted by DIYers into the perfect tiny home, studio, or office space. If you’re looking for a live-in ready container, their 20 foot luxury container homes start at $36,000 and 40 foot homes start at $63,000. Once you place your order, you can expect your home to be completed in 6 to 8 weeks. TAYNR specializes in fabricating new structures out of recycled shipping containers, with the option of building container homes on wheels for easier portability. Their unique container projects look modern, interesting, and beautifully designed. According to TAYNR’s website, their mission is to provide a solution that replaces traditional construction with methods centered around sustainability and affordability. That’s pretty much why most of us are drawn to container homes, right? 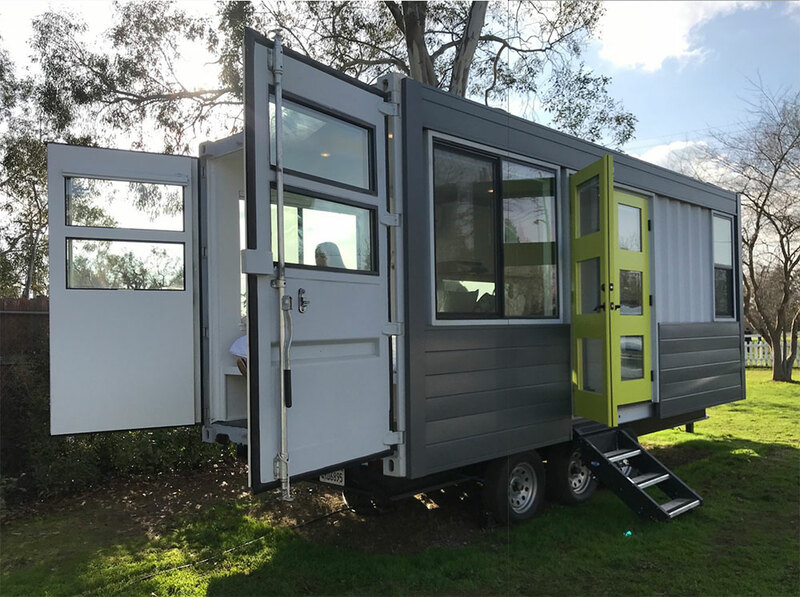 According to their 2018 price list, a 160 square foot studio container from TAYNR is priced at $55k. For $80k you get double the size in a 1 bed/1 bath model. Prices continue up as size goes up, with their highest model priced at $165k. 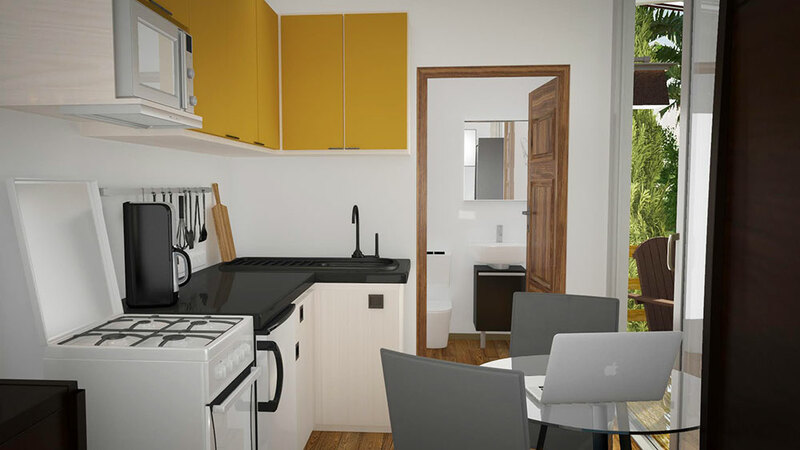 At that price, you get 960 square feet with 3 bedrooms and 2 bathrooms. 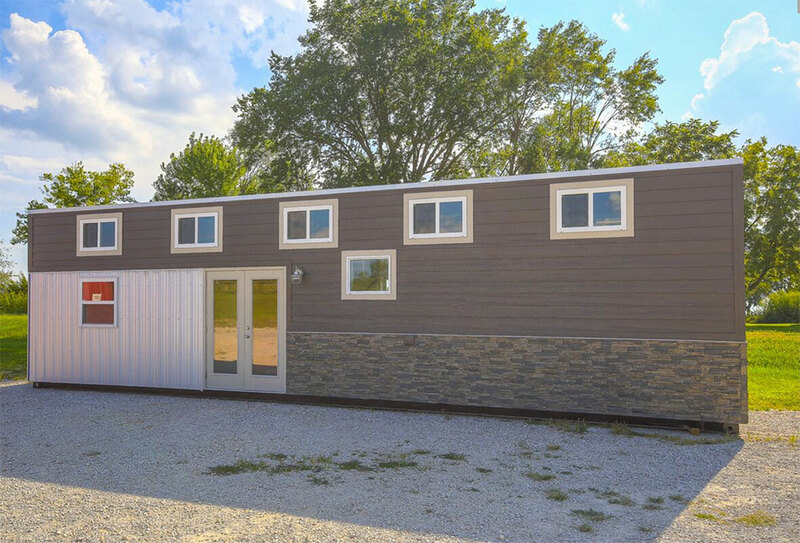 Villagecraft creates custom and prefab shipping container homes, studios, offices, and whatever else your imagination can conceive. 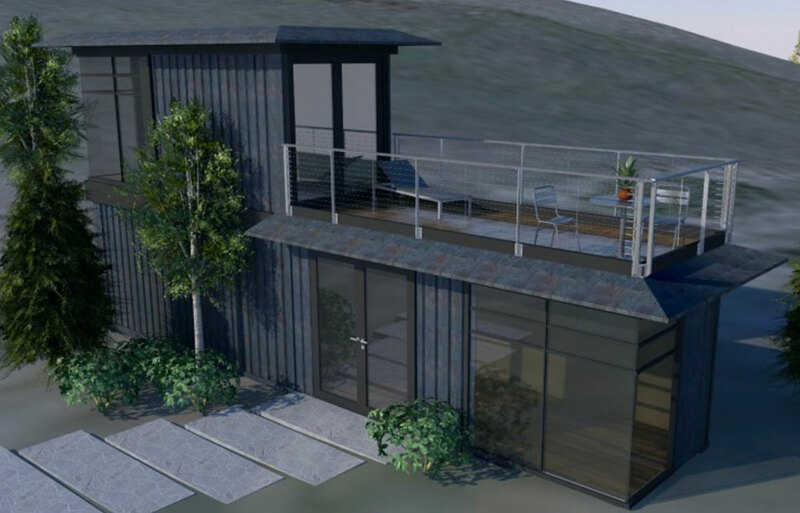 According to their website, their container homes can be delivered anywhere in the U.S. and set up on grid or off grid. 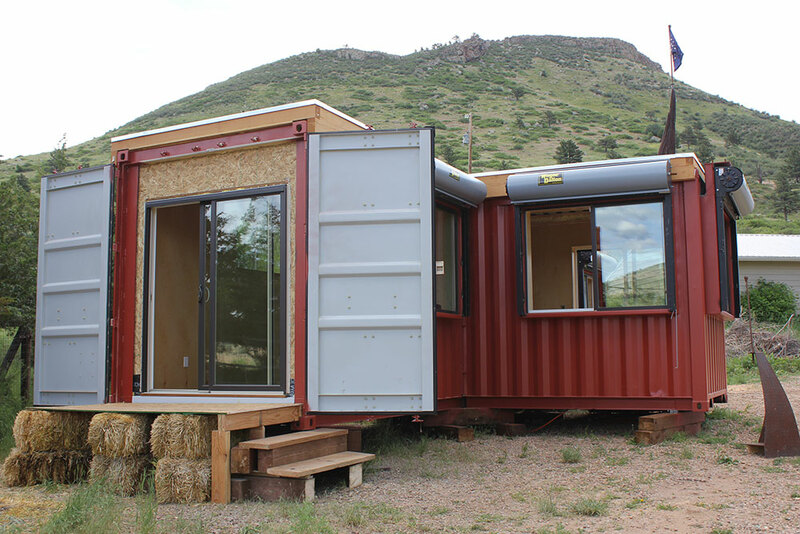 Like the “Raw Containers” from ALS, Villagecraft’s basic model does not contain a kitchen or bathroom, but these can be installed for an additional charge. 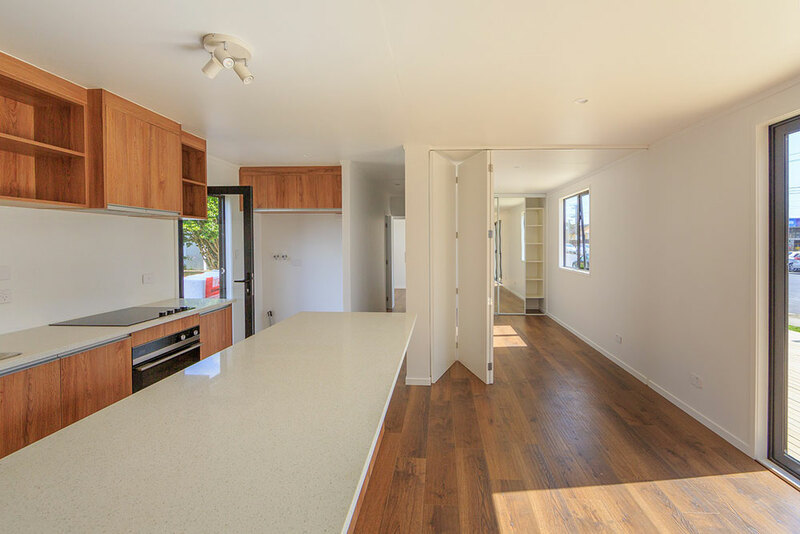 The standard amenities included in each unit are laminate floors, interior wood paneling, sliding glass doors, 2 rear windows, electric sockets, and recessed lighting. And how about a built-in deck? 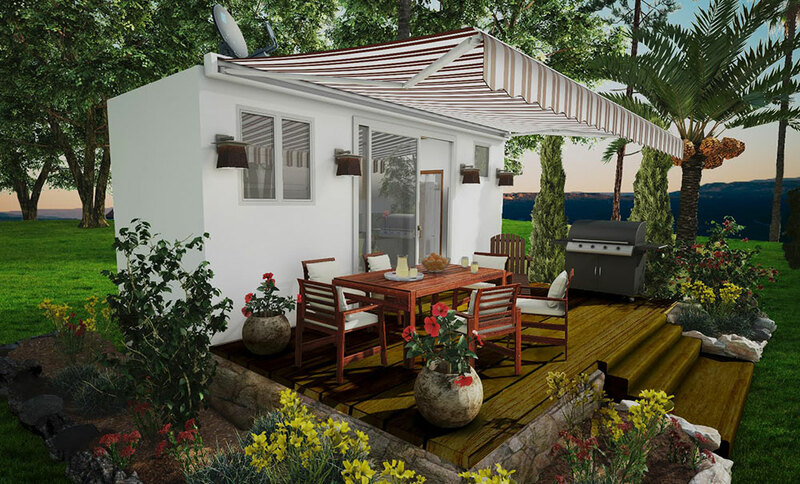 As you can see in the model above, the side panel is lined with all weather decking and folds down to become an outdoor living space. The 20 foot unit from VillageCraft is currently priced at $15,500 and the 40 foot unit is available for $18,500. They actually have one for sale on Etsy at the moment, and they offer financing options. 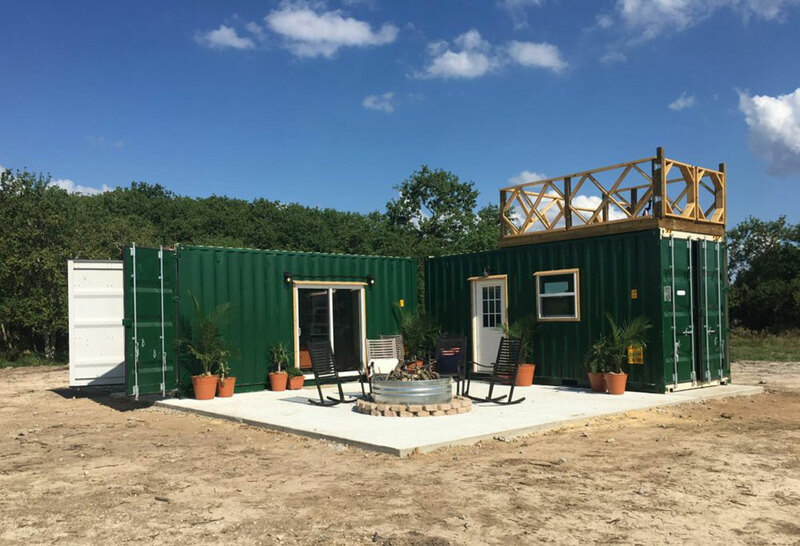 As their name indicates, Custom Container Living builds shipping container homes and getaways suited to their buyers’ individual needs. They are located in Missouri and will ship homes to all the lower 48 states. 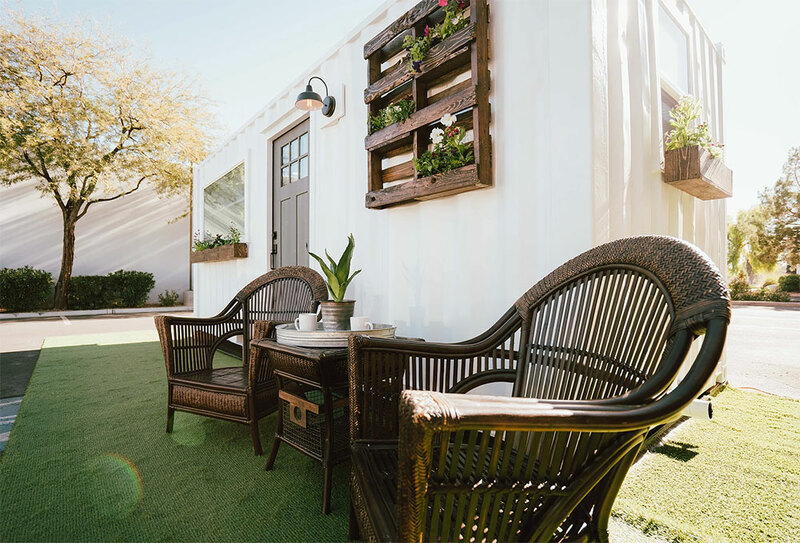 Custom Container Living focuses on quality and affordability, with a huge selection of styles, options, and floor plans to view for inspiration. As you can see from these photos, the interiors of these homes are absolutely stunning. 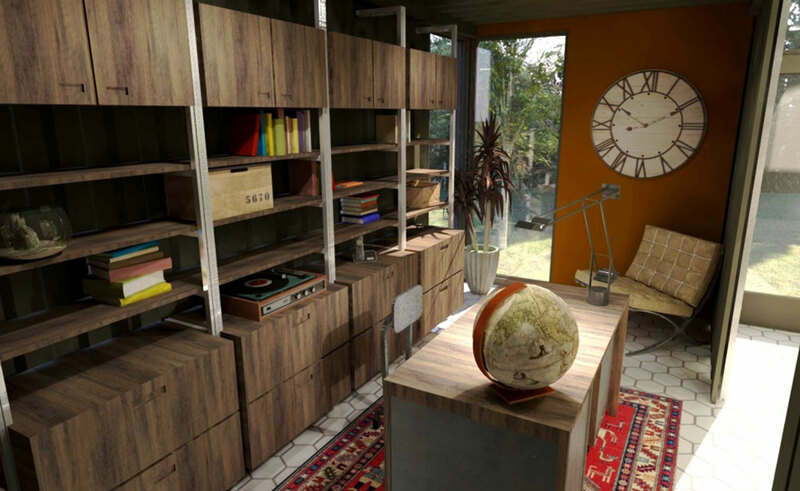 Prices start at $27,900 for the “Backyard Bedroom” model – a bedroom, office/living area, and bathroom built into a 20 foot container. 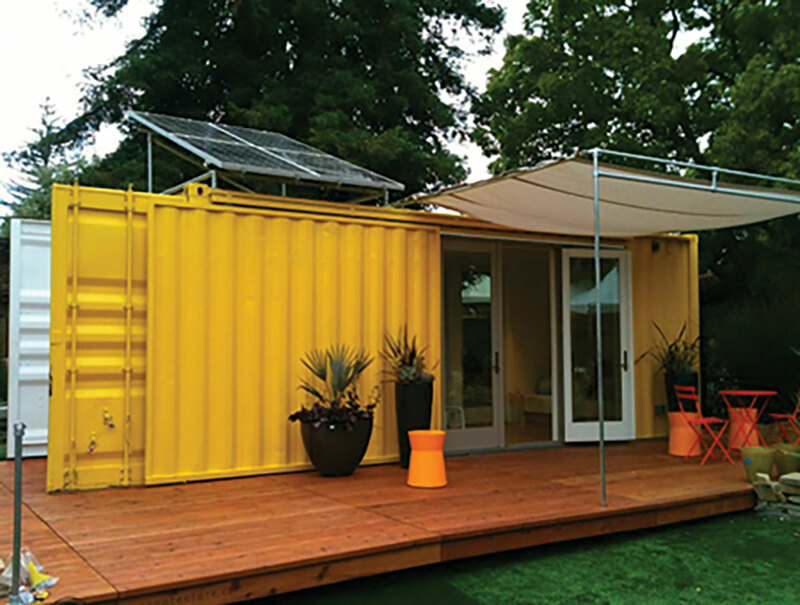 From there, container options include anything from an office space to a multi-unit home. 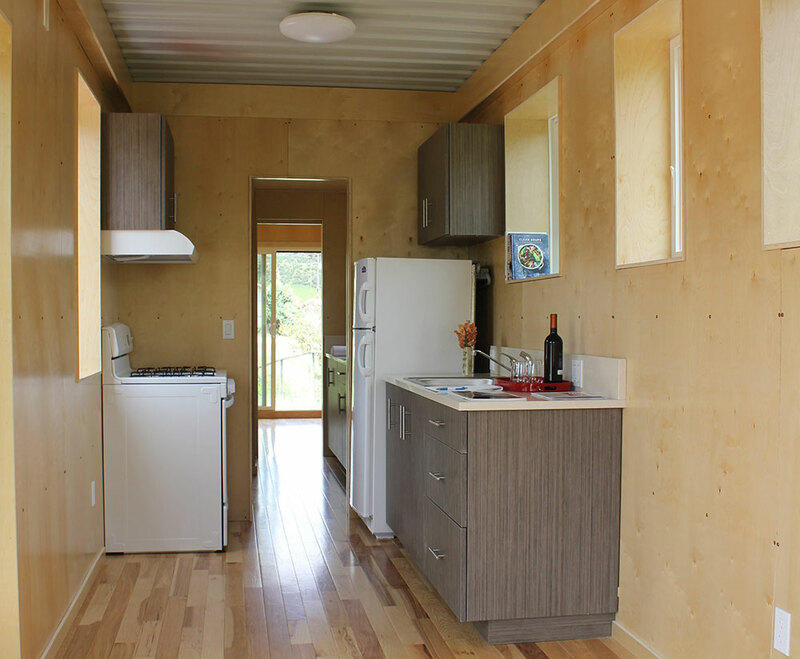 With prices as low as $16,500, Alpha Tiny Homes offers some of the more affordable container homes available. They are all about living simply to enjoy life’s adventures without the burden of a traditional mortgage. 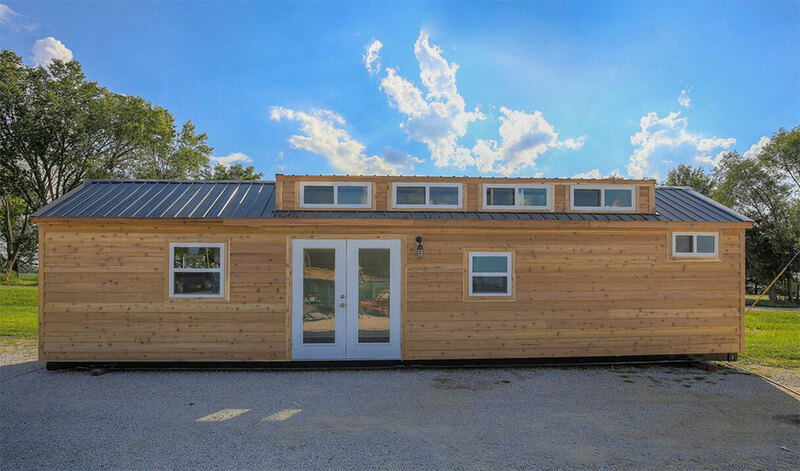 ATH prides themselves on providing beauty and durability in a tiny home while keeping the price low. 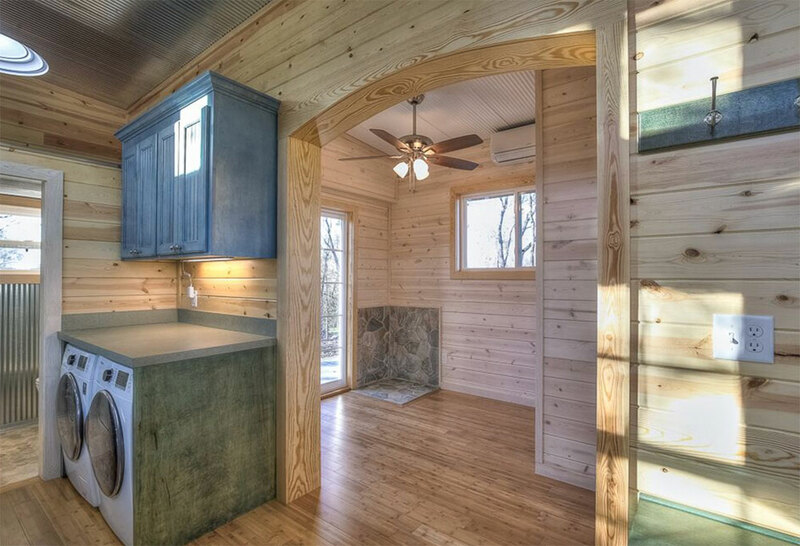 Alpha has 20 foot and 30 foot home models equipped with electricity, plumbing, windows, and a bathroom with a shower. Additional options are available for all their models, such as sliding glass doors, floor-to-ceiling windows, water catchment systems, and rooftop gardens. 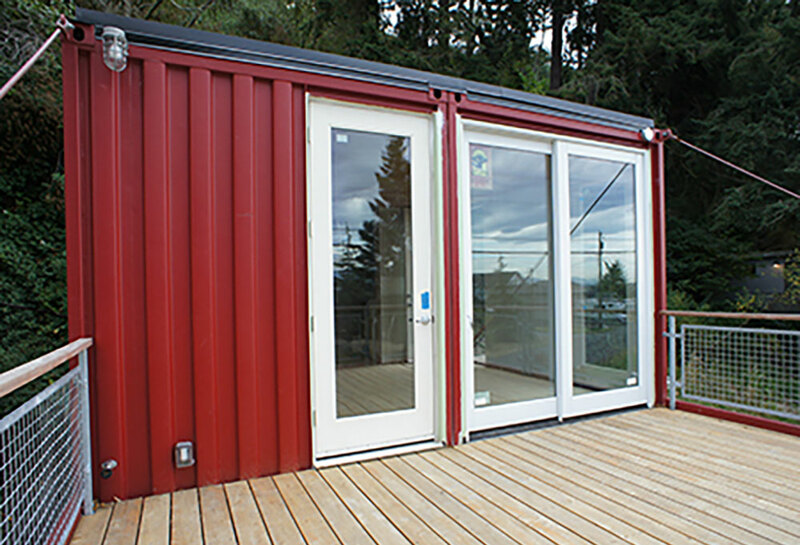 Based in Seattle, Cargotecture specializes in creating cutting-edge designs with used shipping containers. 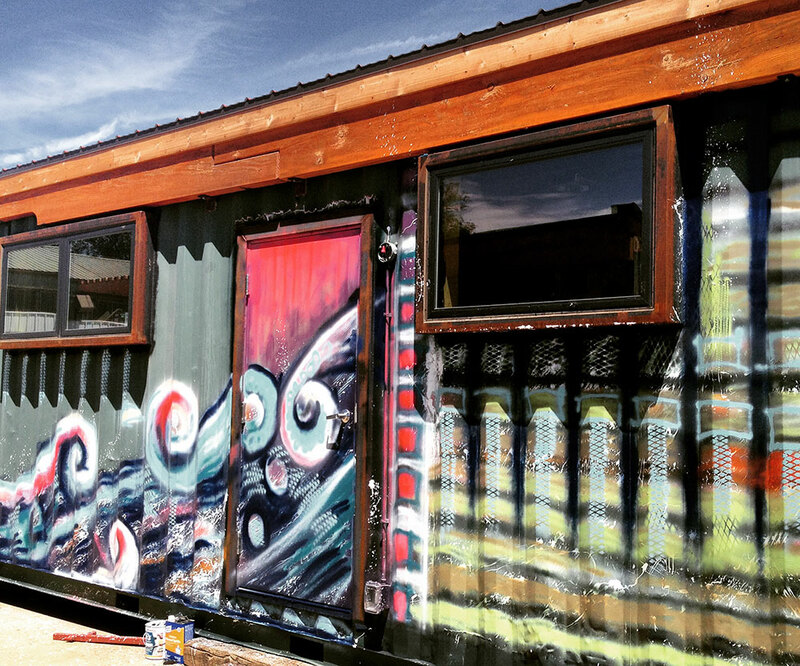 Their projects include everything from single 20 foot container homes to elaborate multi container creations. 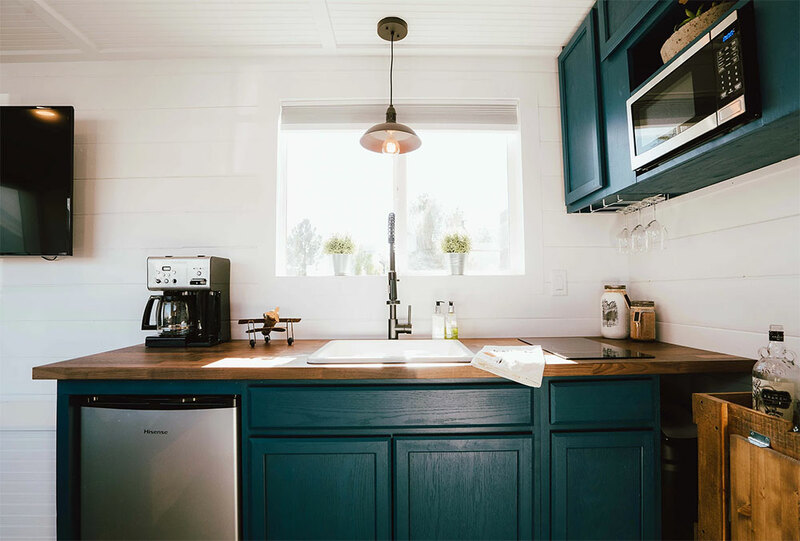 Cargotecture’s base prices include new paint on a recycled container, spray foam insulation, aluminum clad windows and doors, bamboo or mahogany floors, completed bathrooms, full fixtures throughout with IKEA cabinets, water heaters, and relevant permits. The Scout base model includes all the basics for $19,000. The prices go up from there to $134,500, depending on the number of containers are used and features added. 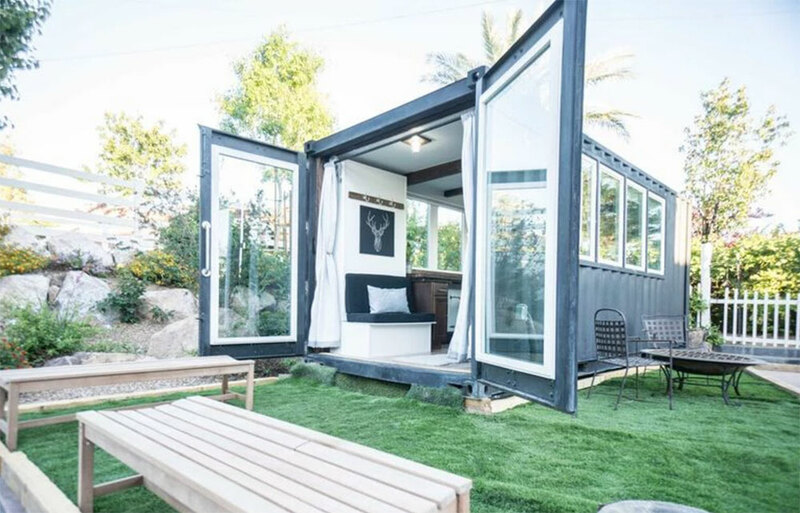 We wrote about Meka in our earlier shipping container post, and they still stand out as a builder of fabulous, luxury container homes. 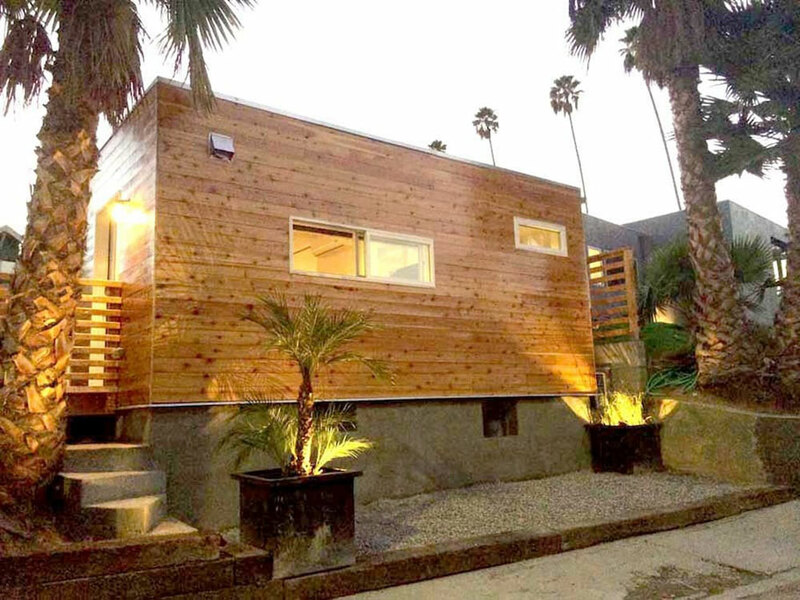 Meka sells both prefabricated and custom homes made from various configurations of 20′ and 40′ ISO steel frames. While a bit more pricey than the previous models, Meka creates their opulent homes with a wide variety of interior and exterior finishings for buyers. 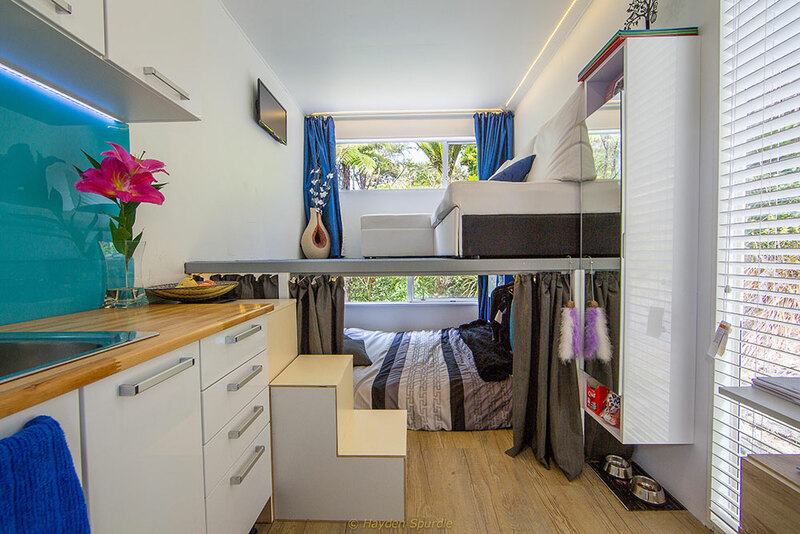 At 320 square feet, Meka’s ALP320 standard model looks like a modern studio apartment. It ships finished with one bedroom, one bathroom, a kitchen, and a living/sleeping area starting at $72,000. 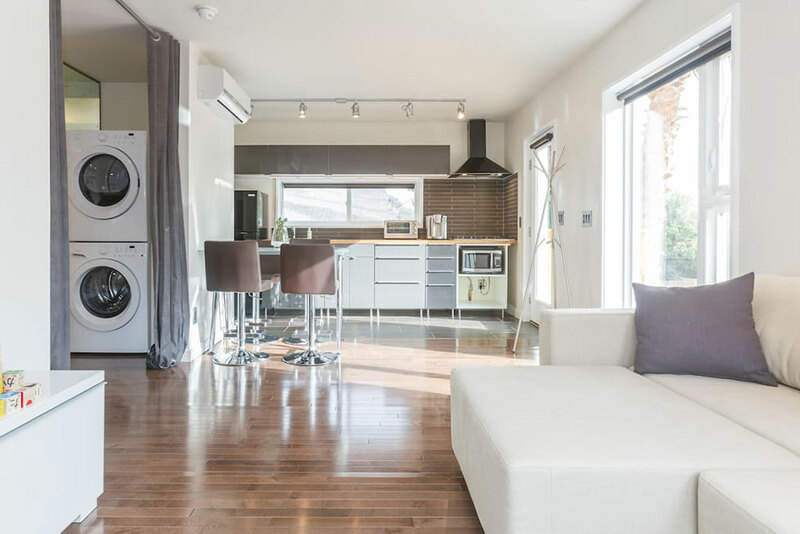 If you’re shopping with a more hefty budget, the top end prefabricated home in Meka’s line, the JAM1920, can be yours for $315,000. That price tag will get you a tri-level, three bedroom, three bathroom luxury home. Rhino Cubed is a Colorado-based company that transforms raw, recycled steel shells into works of art. They focus on quality, artistry, and sustainability in their builds. 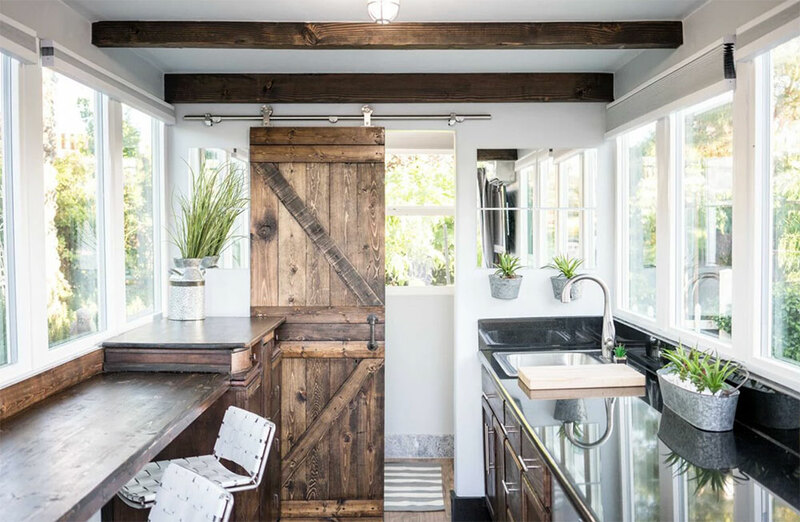 They remind us of the many virtues of turning a container into a residence: these dwellings are built to last for generations, are very secure, and are water-proof, insect-proof, fire-resistant, and weather-proof. 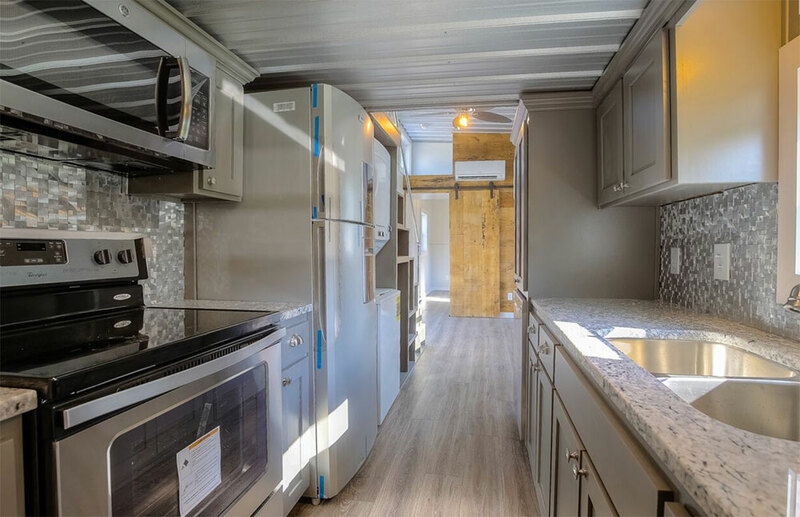 For DIYers who prefer to finish out a container home on their own, Rhino Cubed supplies NakedTainers starting at $33,600 for 160 square feet, and 3 larger sizes up to $57,900 for 320 square feet. NakedTainers are insulated and include paneled walls, windows, hickory floors, and designer roof timbers. 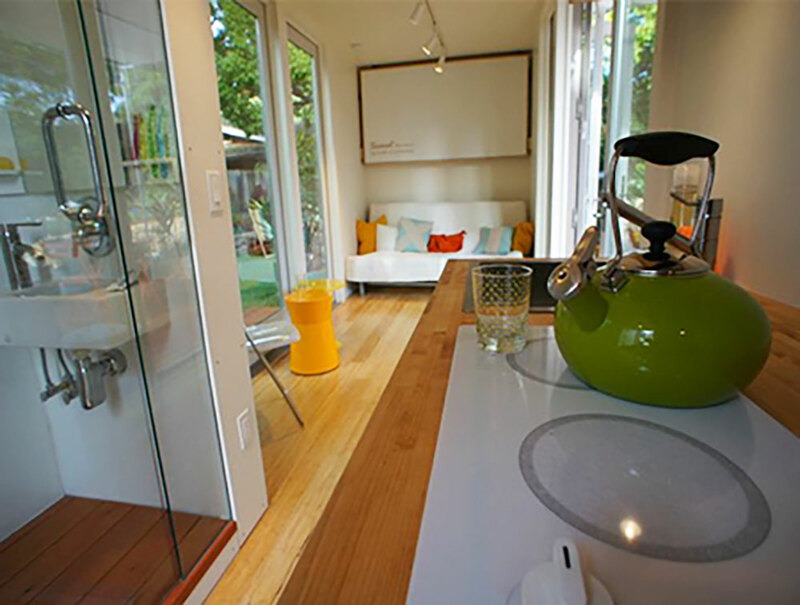 Fully equipped cubes start at $52,000 for 160 square feet and go up to $79,000 for 320 square feet. These models are fully finished with kitchen appliances, full bathrooms, wiring, lighting, and plumbing. 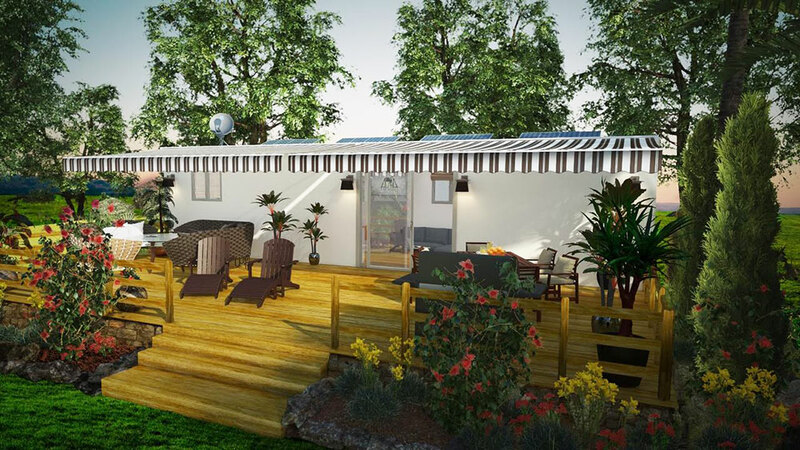 Specializing in building a variety of modular structures out of shipping containers, MODS International will build and deliver residential homes customized to your needs. In addition to homes, they create offices, retail stores, restaurants, dorms, apartments, and more. 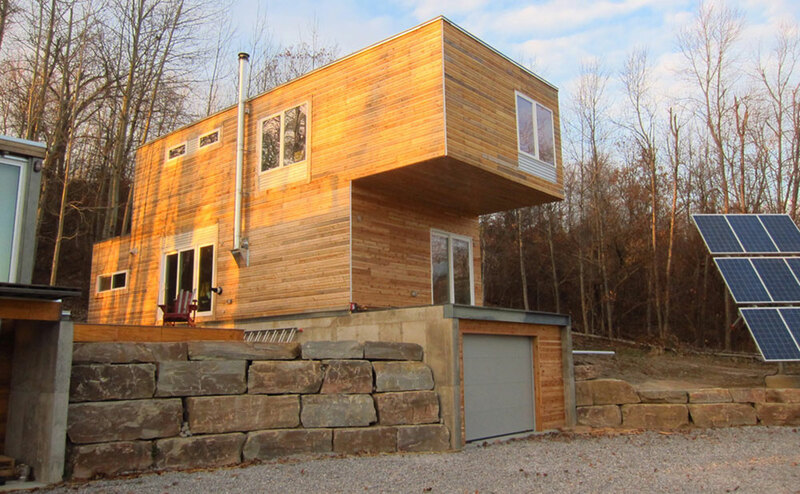 MODS is located in Wisconsin, but they are one of the few container home builders we’ve found that will ship worldwide. MODS does not post a price list on their website like most of these other builders, but they do currently have one of their 40 foot homes listed for sale on Amazon for $36,000 plus shipping. For pricing, they encourage interested parties to contact them for details, as prices vary based on customization options. 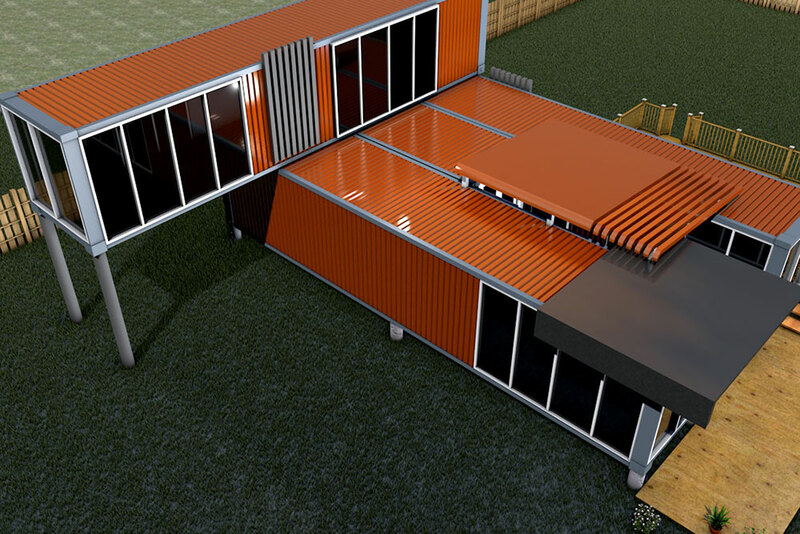 MODS does have an extensive portfolio of previous projects, lending support to their claim of being a leading innovator in designing and building modular structures using shipping containers. 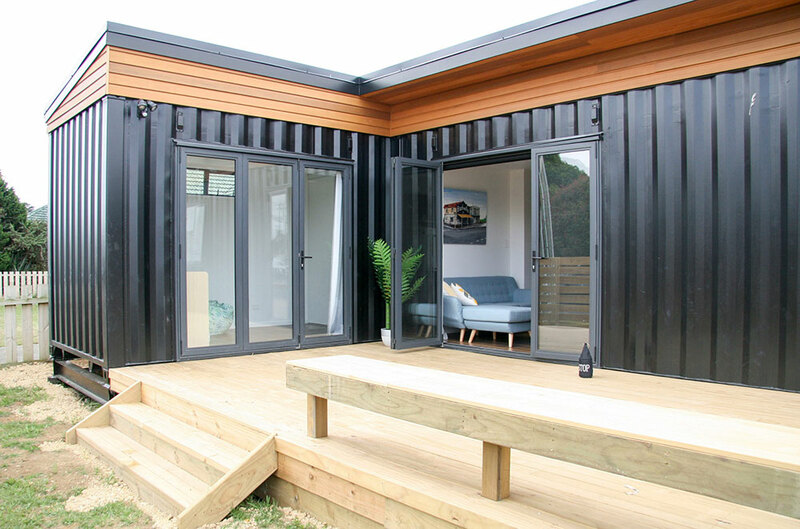 So far, this list consists of container home companies in the U.S. For buyers in or near New Zealand, IQ Container homes is an Auckland-based builder supplying beautiful homes packed with eco-friendly features. 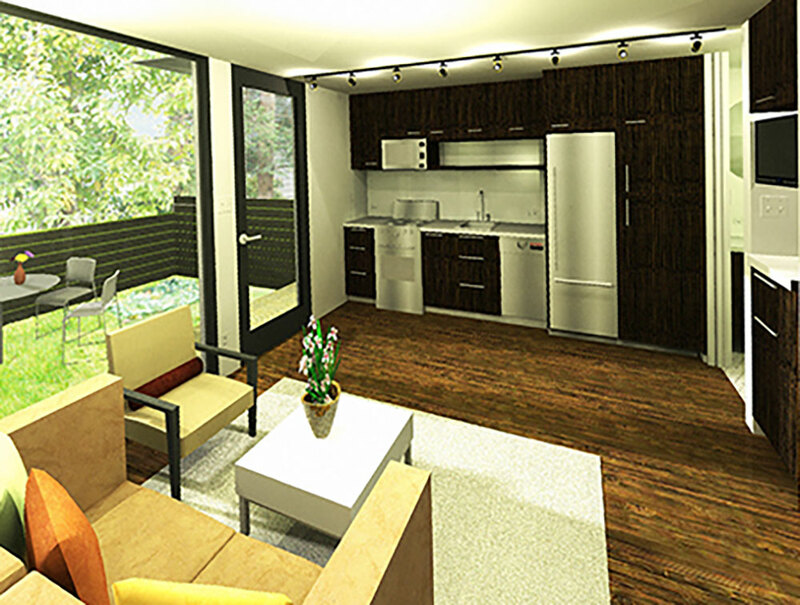 IQ’s homes range from $20,000 to $240,000 for various shapes and sizes. Their smallest models are perfect for a backyard office or additional sleeping space. Their larger models feature multiple bedrooms and bathrooms, all finished beautifully with a variety of custom options. 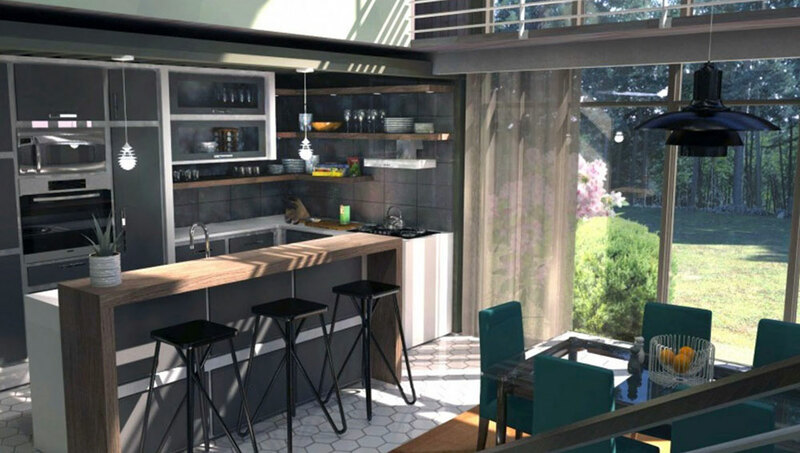 With a focus on sustainability from start to finish, IQ homes are designed to minimize construction waste, utilize passive solar and cross-ventilation, and can be equipped with solar panels, rainwater systems, and a variety of other eco-friendly options.